It was during one of my 'let's do a left, then a right, then a left', wanders around the Unfinished City, when I came across these buildings. These tenement blocks were the seventh such buildings to be built by the Guinness Trust, in London. 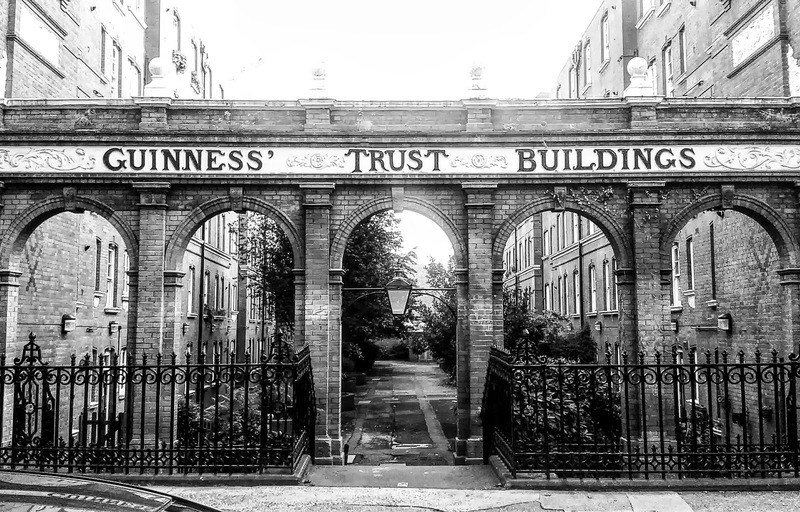 Back in 1890, Sir Edward Cecil Guinness donated £200,000 to set up the Guinness Trust in London. He wanted to help improve the lives of ordinary people, many of whom couldn’t afford decent homes. He wanted to improve people’s lives and create possibilities for them.